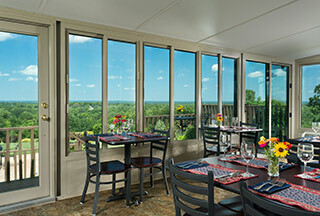 Cedar Crest Lodge offers a wonderful venue for Kansas City area retreats, reunions, and gatherings. 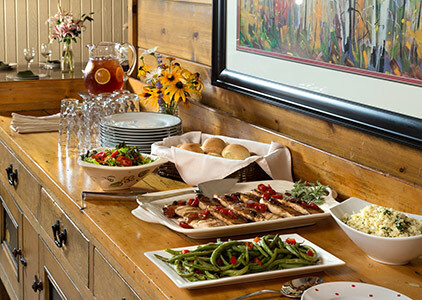 Whether you are seated at the 14-person dining room table, large upstairs dining room, 22-person sunroom, or on the back patio watching the sunset, you will enjoy the wonderfully prepared foods and incredible service offered at Cedar Crest Lodge. The lodge offers 12 bedrooms that will accommodate up to 24 people, a meeting room, library, two living rooms (one with HDTV and DVD player), and a fireplace. To find out more about specific retreats, please visit the tabs listed below. If you are wanting something different than what is listed, please call us at 913.352.6533 for a customized quote. 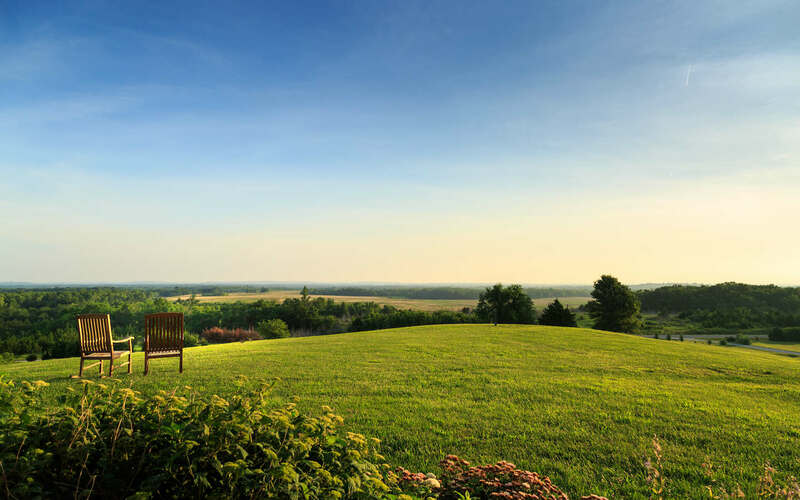 When looking for meeting sites in Kansas, consider our lovely 7,000 square foot lodge and separate carriage house, which sit 1,000 feet above sea level on 100+ acres of beautiful rolling hills, trees, and ponds. 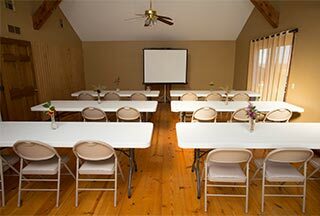 The lodge offers a total of 12 bedrooms that will accommodate 12-24 people, and our large meeting room can hold up to 30 people depending on the set-up. Free wireless internet is available in the meeting room, and also throughout the main lodge and carriage house. Our facility is perfect for Kansas business retreats, offering two living rooms to provide smaller meeting areas and a fireplace to warm up in front of on those cold winter months. Move the meeting outside to our two decks and two patios at the main lodge, and another large deck area by the swimming pool. 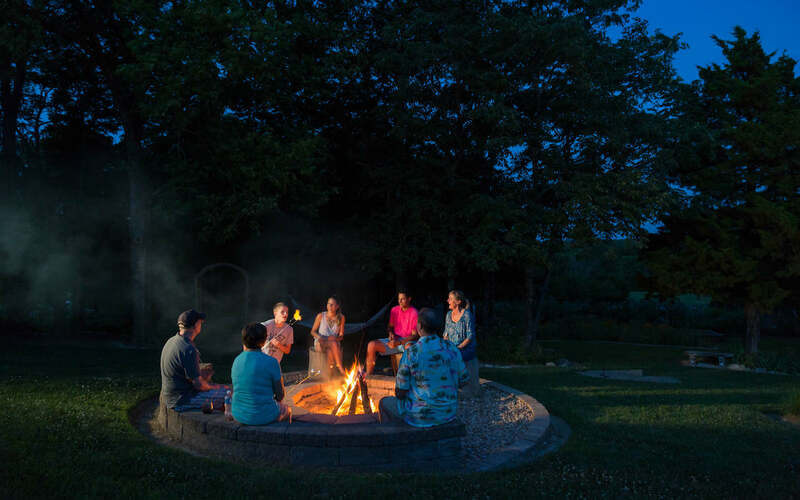 A fire pit, walking trails, horseshoe pits, bocce ball court, fishing ponds, and a spa are also available for retreat use. While a delicious full breakfast is always included with an overnight stay, we also provide additional meals ranging from $11 - $13 per person for lunch and starting at $23 per person for dinner. 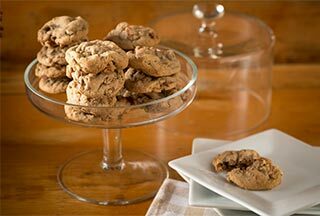 An all-day beverage service including unlimited tea, coffee, water, soft drinks as well as homemade snacks is available for $5.00 per person. There is no facility charge for our meeting room when one or more rooms are rented. If you wish to use the lodge for the day and rent no rooms, then a facility charge of $200 will apply. You may secure your date with a deposit of $500. We need a firm head count and final payment two weeks in advance of your event. The number given at that time will be the minimum number of people for which you will be billed. If you cancel your event less than 3 months before the event, the deposit will not be refunded. We accept checks, Visa, MasterCard and American Express. 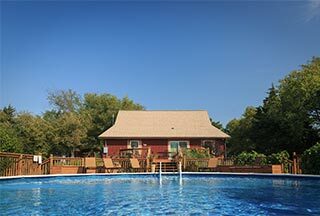 Families that choose Cedar Crest Lodge to host their family reunion have exclusive use of the lodge and grounds. 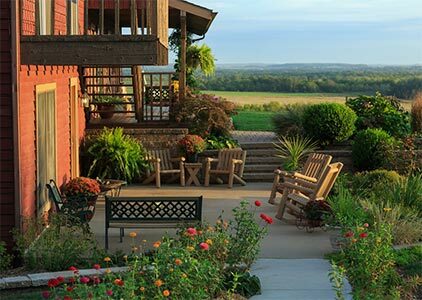 The lovely 7,000 square foot lodge and separate carriage house sit 1,000 feet above sea level on 100+ acres of beautiful rolling hills, trees, and ponds. The lodge offers 12 bedrooms that will accommodate up to 24 people, a meeting room, library, two living rooms (one with HDTV and DVD player), and a fireplace. The free wireless internet is available throughout the main lodge and carriage house. 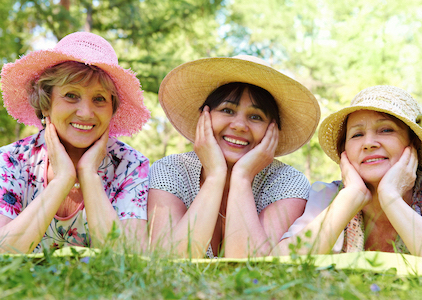 While hosting your Kansas reunion, you have access to two decks and two patios at the main lodge, a large tiered deck at our swimming pool, a fire pit, walking trails, horseshoe pits, bocce ball court, and fishing ponds. However, for the ultimate in relaxation, take the time to pamper yourself in our spa. The price for the entire lodge is $1995 per night and Sunday - Thursday. There is a minimum 2-night stay required for this package. The price includes rental of all 12 bedrooms and two meals a day - breakfast and dinner. If desired, you may add lunch for $12 per person + tax & gratuity. Only available Sunday - Thursday. Max of 24 combined adults and children. You may secure your date with a deposit of $1000. A firm head count & final payment is due one month in advance of your event. The number given at that time will be the minimum number of people for which you are billed. If you cancel less than six months before the event, the deposit will not be refunded. We accept checks, Visa, MasterCard and American Express. * Price does not include tax, gratuity, or fees. ** Holidays are subject to additional fees. Grab your closest girls and plan a special weekend getaway near Kansas City. Our cozy lodge features 12 uniquely decorated bedrooms that will accommodate 24- 33 ladies – perfect for bachelorettes! 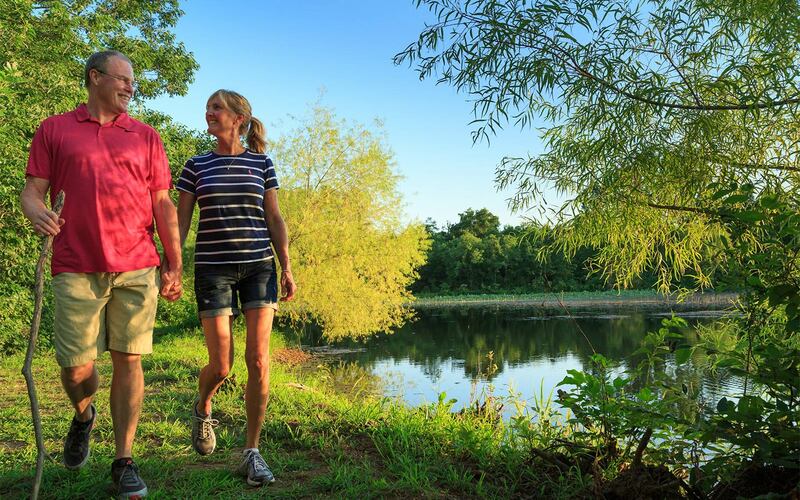 Enjoy Fun in the Sun: You’ll have plenty of outdoor activities to choose from with our walking trails, horseshoe pits, bocce ball court and ponds. Unwind Together: Relax on one of 3 large tiered decks, take a dip in the pool or make memories by our outdoor fire-pit. Indulge & Pamper Yourselves: Treat yourselves to a massage in our full-service onsite spa then indulge your taste buds with a farm-to-table dinner. 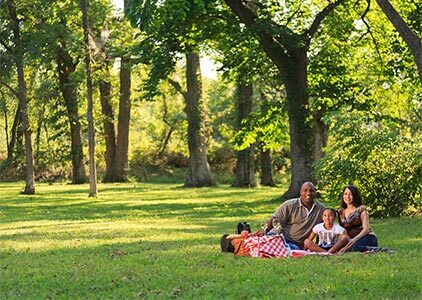 For an extra fee, grab one of our picnic baskets to enjoy on our expansive grounds. We will be glad to answer any questions you may have and to help make your retreat the best possible! 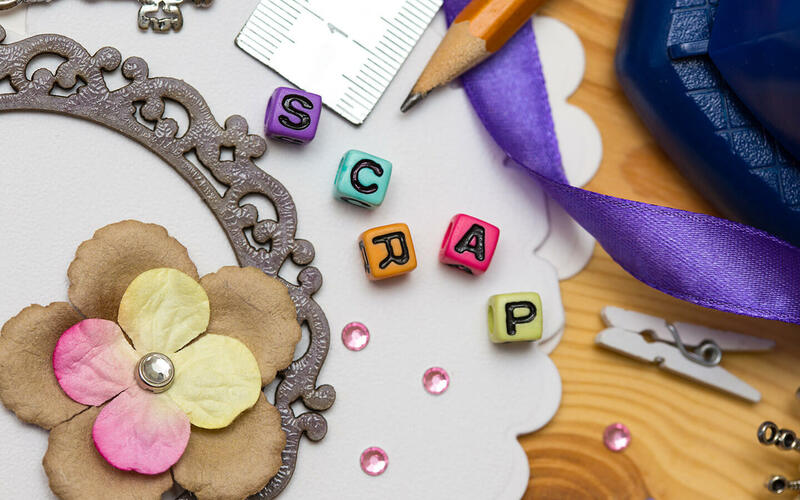 Originally built as an artists' retreat, Cedar Crest Lodge is ideal for hosting your next scrapbooking or quilting getaway. The "studio" includes excellent natural lighting to enhance your crafting experience. 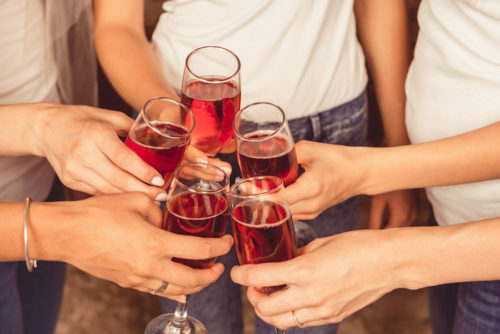 For groups of 8 or more, your package price includes overnight accommodations, all meals and beverages, and use of the studio. Don't forget to take time out to enjoy on-site spa treatments, the walking trail, or a dip in our inviting pool. The free wireless internet is available in the meeting room and throughout the main lodge. Prices begin at $209 per person for a 2-night retreat. A 3-night retreat is $295 per person, and a 4-night is $375 per person. Call for rates on longer retreats. PRICE ARE BASED ON DOUBLE-OCCUPANCY AND INCLUDES ALL TAXES, GRATUITY, AND FEES.